168002 passes under the Marylebone to Banbury line at Bicester, as it heads along the normally freight only Calvert to Oxford line with the Hertfordshire Railtours 'Quainton Clubman' railtour on 17 October 1999. This tour which started from Marylebone, had earlier called at Quainton Road. 168002's normal route would of course be on the line going over the bridge in the background , rather than under it. 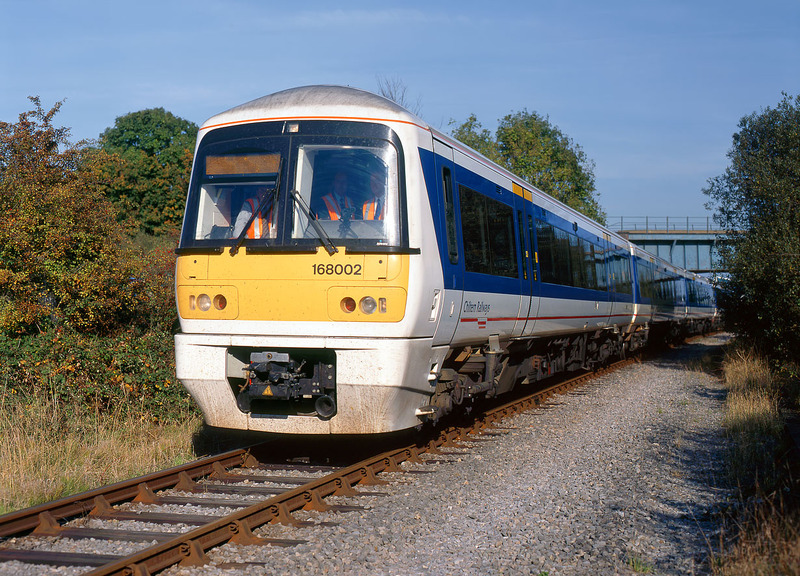 In 2010 Chiltern Railways have plans to construct a link line between these two routes in readiness for Marylebone to Oxford (via Bicester) trains.